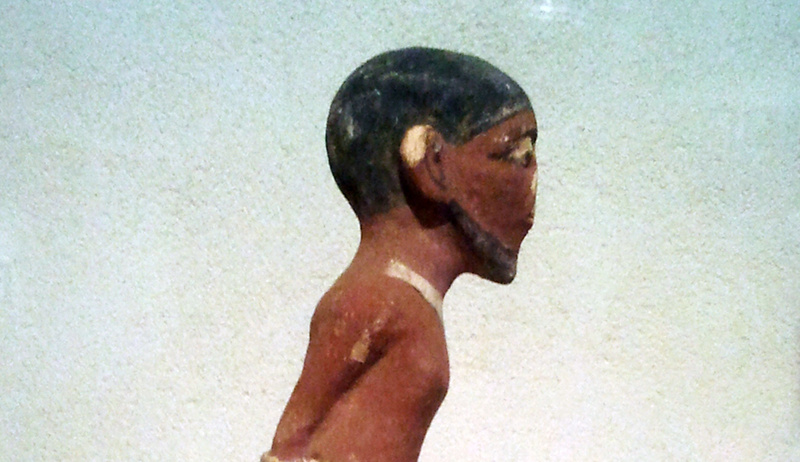 An ancient Egyptian figurine of a Semitic slave. Wikipedia. Neither Greeks nor Romans ever had the idea of a universal history, grasping as a whole all times and all spaces. It is thanks to its contact with Jewish tradition that the Roman world, once Christianized, discovered that all mankind shared an inclusive interdependent history: a crucial moment at which to identify the origin of the modern concept of history. Nevertheless, neither the Talmud nor contemporary Jewish scholarship enables us to write the history of the Jewish contribution to the progress of mankind as a whole. Before the 18th-century Enlightenment, Jews mainly recalled the transmission of traditional Jewish learning through the generations (though also, as we shall see, taking note of its development over time) or chronicled their people’s vicissitudes and misfortunes. Isolated exceptions aside, only in the late-18th and 19th centuries did Jewish historians begin to adopt new academic standards in conformity with the latest European fashions of scholarship. Israeli history-writing today appears largely as a national variation on the same theme. Meanwhile, the specifically Jewish relationship with times past has remained that of memory. Oral transmission always enabled Jewish children to reappropriate their parents’ emotions and ideas, and disciples their masters’ teachings. Memory is the realm of feelings and of life, a participatory collective enterprise in which time is processed through the categories of tradition. In this respect, as Yosef Hayim Yerushalmi argued in his influential 1982 work Zakhor, there is a major divide between memory and history, the latter of which is a modern method of inquiry that uses rational rules to build an orderly accounting of causes and consequences, to decide on the admissibility or non-admissibility of evidence, and to render intelligible the otherwise inchoate-seeming mix of facts, events, and human calculations and passions. Indeed, so great is the divide between these realms that Yerushalmi voiced a deep skepticism about the ability of modern historians to reconcile the rigorous methodology of their discipline with the resonant meanings derived from Jewish collective memory. Nor is that all. Along with the widening gap between history and memory, Jewish memory itself has become deeply fragmented, as the secular and the religious, the Jews of Israel and the Jews of the diaspora, Zionists and anti-Zionists (not to mention post-Zionists) have all adopted competing narratives of Jewish history, sometimes drawing on historical scholarship to support their views and sometimes deliberately spurning it. Such fragmentation bodes ill for a people in whom collective memory continues to hold so prominent a place. This essay reverses Yerushalmi’s concern, asking instead whether and how Judaism and Jewish memory might enrich historical writing about the Jewish past—and whether such enriched study of the Jewish past might help the Jews of today better understand both the events of that past and the meanings that those events have taken on. A necessarily brief survey of Jewish writing about “history” will enable us to face the challenge posed by the return of the Jews to their ancient homeland: an event, pregnant with meaning, for which neither academic history nor sacral memory was fully prepared but which affords an opportunity to envisage a new comprehensive Jewish history. Judaism is wrongly pictured as wholly a “religion of memory.” In the Bible, the list of obligatory things to remember—zakhor—is limited to the deliverance from Egypt, the hardships experienced by the Israelites in the desert, the revelation at Sinai, the commandment concerning observance of the Sabbath, the depredations committed by the evil Amalek, and the punishment of Moses’ sister Miriam for improper speech. Later on in the Bible, except for Queen Esther’s order to remember the deliverance of the Persian Jews from the designs of the wicked Haman, Jews are not enjoined to recall their own history. All of Judaism’s subsequent rites of memory were instead made possible only by the talmudic rabbis’ understanding of a verse from Jeremiah: “For I will restore health unto thee, and I will heal thee of thy wounds, saith the Lord; because they called thee an Outcast, saying, this is Zion, whom no man seeketh after” (30:17). Everything entailed by “Zion,” the rabbis say, deserves to be sought out, by memory if necessary. In order to observe these multiple rites of memory, Jews needed a calendar, not a history. This is why the rabbis’ temporal conceptions differ so markedly from the Greek and modern conceptions of the flow of time (chronos). In that sense, Jews did not need to find historical chronology in the Torah, where the term that most closely approximates “history” is toldot—literally, generations or begettings. In the books of Genesis and Exodus, the phrase “These are the toldot of . . .” sometimes introduces a story or biography and sometimes a genealogy. Thus, “These are the toldot of Noah” (Genesis 6:9) introduces the flood story, while “These are the toldot of the sons of Noah” (Genesis 10:1) is followed by lists of who begat whom. But the distinction between the two meanings of toldot is immaterial because the essence of biblical history is to convey the virtues (and the failings) of the earliest humans and the patriarchs as refined through their progeny, from one generation to the next. The historical sections of the Hebrew Bible pursue these ends by telling more than the story of a family, a tribe, or a people. To the question “who are the Jews?,” Genesis answers with a book of ethnology. Above all, these passages make clear who God is, and who He can be seen to be, precisely through His involvement in history, which He has endowed with both a beginning (the creation) and an end (the messianic era). In the telling, these narratives provide role models—again, both positive and negative—for mankind throughout the ages. Next, the Talmud, for its part, extends, embroiders, and reinforces the biblical approach in a variety of innovative ways. As we’ve seen, the talmudic sages were partial to a specific conception of time. To them, as described by Yerushalmi in Zakhor, the experiences of previous generations did not take place entirely in the past: the rabbis taught that the souls of all Jews yet to be born were present at Sinai, and that every Jew is “obligated to see himself as if he personally came out of Egypt.” Historical occurrences matter only insofar as they serve as sources of moral, spiritual, and legal meaning. Take the Talmud’s account in Tractate Gittin of the reasons for the destruction of the Second Temple in 70 CE. No mention is made there of the Judean revolt, of internal Jewish power struggles, or of Rome’s own strategic priorities and internal conflicts. Instead, the rabbis present a story of the public humiliation of a man named Bar Kamtsa, the failure of the sages to intervene in his behalf, and Bar Kamtsa’s subsequent decision to extract revenge by provoking the emperor’s wrath against the Jews. In this account the Talmud does give us a chain of causes and effects, but one entirely in the service of a spiritual lesson: namely, that what brought catastrophe to the Jews was the sin of gratuitous hatred. For the sages, the study of history was less a matter of making sense of chronology than of drawing a series of paradigms whose significance was at once halakhic and metaphysical (that is, related to the ultimate structure of being). True, Greeks and Romans, like the French and the British centuries later, possessed founding myths comparable in their eyes to the biblical stories of Abraham and Isaac, or Moses and David. For these peoples, myths were a source of legitimation: without the myth of Troy and Aeneas’ escape, there would be no Rome, or, worse, Rome would just be a city of semi-barbarians with no connection to the gods—Aeneas, pointedly, was a son of Venus—or to ancient literary traditions (as, for the Greeks, in the works of Homer). If Greeks and Romans saw their foundational stories as taking place in a long-ago age fundamentally different from their own, the Jewish sages insisted on unity between the “mythic” past and the present. Yet there are differences as well: in contrast to Greeks and Romans, Jews never granted much value to “myths” at the expense of men and women who could serve as moral exemplars and archetypes. 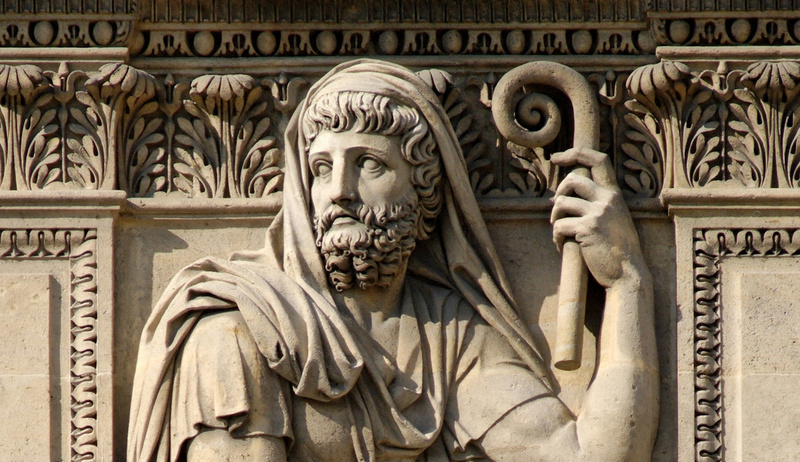 If Greeks and Romans saw their foundational stories as taking place in a long-ago age fundamentally different from their own, the Jewish sages insisted on unity between the “mythic” past and the present. 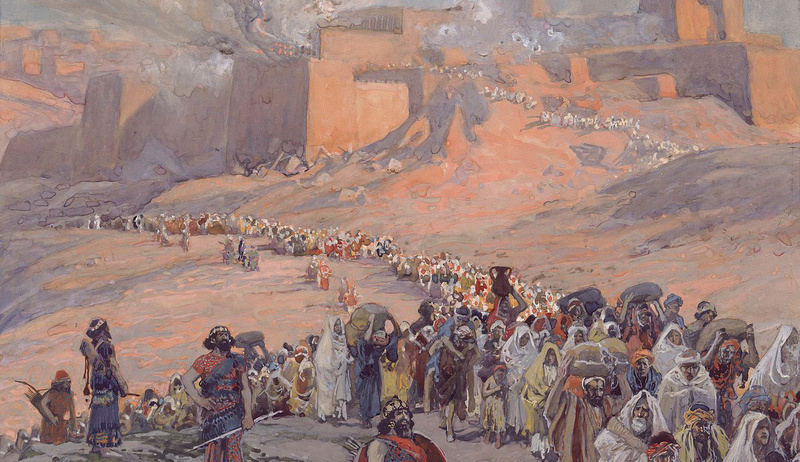 The texture of present time is not different from the texture of patriarchal time—which is why latter-day Jews need to reenact events through their narration. My father was a wandering Aramean, and he went down into Egypt with a few people and lived there and became a great nation, powerful and numerous. 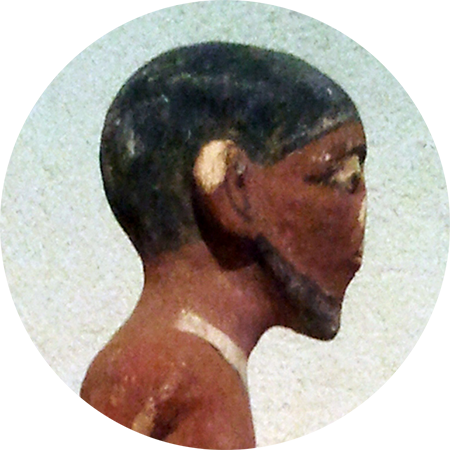 But the Egyptians mistreated us and made us suffer, subjecting us to harsh labor. Then we cried out to the Lord, the God of our ancestors, and the Lord heard our voice and saw our misery, toil, and oppression. And the Lord brought us out of Egypt with a mighty hand and an outstretched arm, with great terror and with signs and wonders. He brought us to this place and gave us this land, a land flowing with milk and honey; and now I bring the first fruits of the soil that You, Lord, have given me. Still, even though the sages assert that there is no chronology per se in the Torah, they were far from blind to historical development. Consider, for instance, the opening lines of the talmudic tractate Pirkei Avot: “Moses received the Torah from Sinai and gave it over to Joshua. Joshua gave it over to the elders, the elders to the prophets, and the prophets gave it over to the men of the Great Assembly.” Similarly, the sages and their medieval epigones kept a meticulous record of halakhic innovations, taking pains to explain which extra-Sinaitic laws were promulgated by Moses, which by Ezra, which by Hillel, which by the sages who lived immediately after the Second Temple’s destruction, and so forth. In emphasizing the ahistorical aspects of talmudic thinking, Yerushalmi and historians after him have sometimes overlooked this attention to development. What remains true, and fills out the picture, is that the talmudic rabbis and, again, their medieval epigones rarely endorsed a vision of historical progress like that to be found later in the ideas of Enlightenment thinkers and eventually in the writings of Hegel and Marx. Rarely, but not never: an important exception in the medieval period was Maimonides (1138-1204), who regarded the rituals of the ancient Temple as a necessary intermediate stage between the world of pagan sacrifices and the spiritual elevation for which the Jews as a people were destined. In this sense, Maimonides may be said to have anticipated a much later phase of Jewish history-writing. During the medieval and early-modern periods, Jews wrote updated accounts of the transmission of tradition, chronicles of the Crusades in Germany and of the expulsion from Spain, and, in the 17th century, narratives of the violence wrought by the Chmielnicki uprising in Poland. All of these are worthy of being called works of history, but again not in the modern sense. Only toward the end of the 18th century, as Western society gradually started to open its doors to them, did Jews, eager to enter, become convinced of the value of having a history that was recognizably part of “universal”—that is, whole and coherent—history as practiced by Europeans in the Age of Enlightenment. Only toward the end of the 18th century, as Western society gradually started to open its doors to them, did Jews become convinced of the value of having a history that was recognizably part of “universal” history. The French, the British, and the Germans all had histories of their own. Edward Gibbon in the 18th century and Leopold von Ranke in the 19th were writing new histories of the ancient Romans and Greeks. Jews claiming to be part of European civilization needed a history, too. Thus, historians like Heinrich Graetz (1817-1891) started writing it. Graetz and the circle of German Jewish historians around him rejected both traditional rabbinic indifference to history and traditional rabbinic divisions of time marked by the giving of the Torah and the building and destruction of the two Temples. Instead, they imported and imposed the new chronological scheme that periodized the past into the essentially Christian but now-familiar categories of ancient, medieval, and modern. Simultaneously, their study of causes and consequences was largely stripped of the age-old premises of divine purpose and providence that characterized earlier Jewish historiography. Graetz’s multivolume history of the Jews focused overwhelmingly on intellectual and literary activity. As European Christians could look backward to the cultural monuments of classical antiquity, Graetz felt Jews could look back to the grand legacy of the Bible and the Talmud. In addition, he and his colleagues greatly admired the Jews of early medieval Spain, who wrote in both Hebrew and Arabic, produced sophisticated secular and religious poetry, and studied classical philosophy and Aristotelian science. By contrast, they saw the later medieval and early-modern periods as riddled by decline and obscurantism, a Jewish dark age that was then followed—providentially, as it were—by a rebirth as Jews rediscovered European culture and became part of it. This emphasis on the blessings of enlightenment, emancipation, and acculturation was indicative of a general viewpoint. Most of the era’s Jewish historians rejected the memory-laden concept of “exile,” whether metaphysical or geographical, favoring instead the fancier and seemingly neutral term diaspora. Moreover, to sever the Jews’ perduring bond with the land of Israel, they downplayed or jettisoned the old dreams of national redemption by supernatural means, pointing out instead that, at least at certain times, Jews had manifestly been able to survive and be productive without a state or a territory. In the same vein, the 19th-century founders of Reform Judaism—some of whom were themselves Jewish historians—deleted from the liturgy all references to the messiah, the return to Zion, and the restoration of Jewish sovereignty. To put it in Yerushalmi’s terms, this was the moment when history replaced memory—with memory, hitherto a collective undertaking, now relegated to the realm of the personal and the private in order to clear room for history. If 18th- and 19th-century Haskalah (Jewish enlightenment) could be said to have created a secular Jewish culture, the new Wissenschaft des Judentums (science of Judaism) detached numerous Jews from their living past, turning their laws, customs, and memories into mere objects of study. What had been gained in terms of intellectual rigor was lost in terms of meaning or, worse, replaced by the service of new gods—especially the twin beliefs that ancient traditions need no longer be revered and that the inevitable forward march of history would lead to the perfection of society. Most of all, by refusing to see historical events as a means for understanding the largest questions of Jewish existence, the new history-writing rendered impossible any way of accounting for the singular, extraordinary, and globally significant history of the Jewish people—let alone the possibility of so truly extraordinary an event as a rebirth of the Jewish nation in its ancestral homeland. Yet that “miraculous” rebirth did happen, and in happening it presented a new challenge to the practice of Jewish history. This is not to say that professional historians can’t explain or haven’t explained the dramatic and unforeseen course of events that culminated in the founding of the state of Israel. To the contrary, their job of connecting the dots was made easier by the conjunction of a variety of contributing factors, both intellectual and political: among them, the 18th-century Enlightenment, the emancipation of European Jews and the Haskalah, the rise of nationalism in the 19th century, and the post-World War II movement of rapid decolonization. In particular, anyone familiar with the history of European nationalism can see the parallels with Zionism—among which is the interrelationship, first pointed out by the great French scholar Ernest Renan in 1881, between the decline of religion and the rise of modern secular nationalism. As if to prove Renan right, the first generations of Zionists sought to build a new, secular Jewish national identity. And with this new identity came a new Zionist view of Jewish history. In general, early Zionists were intent on casting into the shadow the extraordinary contributions of the Jewish people to human civilization throughout the previous centuries. Ancient sages and medieval martyrs were brushed aside and denigrated, their heroic place taken by modern-day pioneers and kibbutzniks. Focused as they were on the needs of state-building and on creating a “new Jew,” very few Zionist historians, and fewer political figures, acknowledged how much they owed to what had come before them. Appeals to the previous millennium-and-a-half of Jewish history were psychologically off-limits; at most, Zionists located their relevant predecessors in the farthest reaches of the otherwise discarded past: in the biblical warrior-hero Gideon, in Judah the Maccabee who in the 2nd-century BCE led a victorious rebellion against the Seleucid Greeks, and in Shimon Bar Kokhba, who led the last Judean revolt against Rome in 132-135 CE. Of course, most European nationalisms also dug selectively into the past to create national genealogies and traditions and a sense of the nation as an actor in history. Thus, French pupils during the Third Republic (1870-1940) would learn that their ancestors were Celtic Gauls, conveniently overlooking the Frankish, i.e. Germanic, origin of the country’s name. Their British counterparts, similarly, were taught that Henry Plantagenet’s reign in the 12th century was crucial to creating a genuinely English monarchy, even though Henry likely never spoke English and, as a descendant of William the Conqueror, was more French than anything else. By contrast, the Jews were a long-established historical reality. 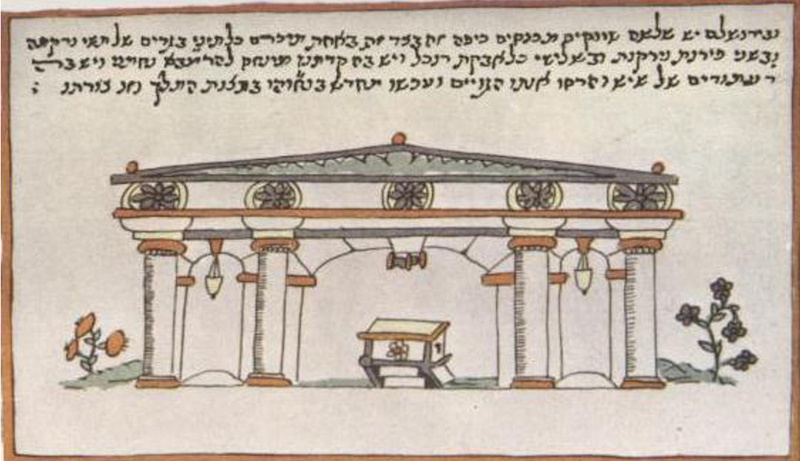 Unlike Finns, Czechs, and Poles who had to invent or create national epics, Jewish nationalists not only possessed, in the Bible, a genuinely ancient epic to build on—and one that detailed the very creation of the Jewish “nation”—but a continuous millennia-old history of achievements and of stubborn attachment even in exile to their language and ancestral territory. While other nations had to dig deep into the past to justify their national existence, Jews, the oldest literate living people, now seemed intent on anchoring their nation-state in a realm outside of their own history. And yet here’s the paradox: while others had to delve deep into the past to find even a few fugitive fragments justifying their existence, Jews, the oldest literate living people, now seemed intent on anchoring their nation-state in a realm outside of that continuous sweep of Jewish history. For Zionist historians and politicians, at least until the 1960s, the past was divided into three discontinuous epochs, the first of which was characterized by national agency and activism until successive defeats at the hands of the Romans in the 1st and 2nd centuries CE, the second by 2,000 years of impotence and passivity in exile, the third by agency and activism regained with the advent of Zionism. In the first and third periods, Jews were masters of their destiny. In the long second epoch, the fate of the Jews was vested in a passive religious hope for redemption wholly dependent on a hidden divine will. This attitude toward the diasporic past was vividly stereotyped by the Israeli novelist Haim Hazaz in his short story “The Sermon.” Hazaz’s protagonist, a simple kibbutznik named Yudka, is the embodiment of the new Jew. In an impassioned speech before his kibbutz’s council—the time is the early 1940s—Yudka rejects all of pre-Zionist Jewish history as a chronicle of unrelenting submissiveness; its greatest figures were those who maintained their dignity despite their suffering, not the kind who defeated their tormentors. Yudka does not want children to be taught anything about this history because a new one has started with him and his kind, who refuse to be victims any longer. Yudka’s conclusion is that Jews clung to the messianic idea because they were too timid to try to redeem themselves by taking their destiny into their own hands and returning to their own land—thereby dooming themselves to pogroms and expulsions, blood libels and massacres. He himself has no interest in the events of the past; he prefers the pioneer’s national present to both history and memory. Most Zionist thinkers, even as they faulted Emancipation-era historians for having inserted Jewish history into world history, thus cutting it off from the land of Israel, shared with those earlier historians (and with Yudka) a certain contempt for the Jewish “dark ages” when Jews lived in ghettos, were under the authority of rabbis who were themselves under the authority of Gentile regents, and did not participate in the history of nations. They disagreed, however, over when those dark ages began and ended. For Graetz and his colleagues, they ended with the opening of Christian cities to the Jews starting in the 17th and 18th centuries; for Zionists, they ended with the Love of Zion movement in the 1880s (more than a decade prior to the advent of Theodor Herzl) and were definitively repudiated by the heroic deeds of the Jewish pioneers in Palestine. To jump forward somewhat, this helps explain the wide difference in Jewish attitudes toward the meaning of the Shoah in Jewish history. In America, mainly secular Jews, in tandem with Jewish communal organizations, would in the late 20th century fashion a veritable cult of Holocaust memory that for some would become their only link to Jewish identity. This cult of memory, often connected to a vaguely defined need to “repair the world,” has been enabled partly by ignorance of both Judaism and Jewish history and partly by the amazing efforts developed by Sunday schools and Jewish organizations to keep alive the memory of the Holocaust and Jewish victimization. For Jews who see less meaning in the establishment of Israel than in the gates of Auschwitz, the scantiness of the content prevents an understanding of, let alone participation in, the cultural, spiritual, and political rebirth of Jewish identity centered in the Jewish state. Some, clinging stubbornly to their investment in Jewish victimhood, have thereby become silent accomplices of anti-Zionism (and in salient other cases active promoters of it). Through the traditional rabbinic lens of memory, by contrast, the Nazi Holocaust represents another attempt to eradicate the Jewish people as the bearer of a specific message of its own; it is thus to be seen essentially as a pogrom—a monstrously immense pogrom but in the end one less meaningful than the destruction of both Temples in Jerusalem. Many secular Israelis, for their part, steeped in the ideology of “negation of the diaspora,” tended to regard the Holocaust as but the culmination of a long, undifferentiated, and alien tale of Jewish passivity, and for a long while, at least until the Eichmann trial in 1960-61, found it difficult to sympathize with the many survivors in their midst, let alone to identify with their experience. Yet in Israel this attitude was not general. Among proponents of a contrasting view, perhaps most notable was the historian and minister of education Ben-Zion Dinur, who saw Zionism itself not as a decisive break with the past but as “a huge river into which flowed all of the smaller streams and tributaries of the Jewish struggle down the ages.” Dinur stood at the apex of a new group of historians, loosely known as the Jerusalem school—its other leading figures in the first generation were Yitsḥak Baer and Gershom Scholem—who, instead of severing modern Zionism from the diasporic past, sought to find its roots in that past. In the view of these historians, the revival of Hebrew by the poets and grammarians of medieval Spain had paved the way for the Hebrew literary renaissance of the 19th century, which in turn paved the way for the revival of spoken Hebrew. In the roster of those rediscovered proto-Zionists were not only the 12th-century rabbi and poet Judah Halevy, who left cosmopolitan Spain for Jerusalem, but also some early Ḥasidim and disciples of the Vilna Gaon who left Eastern Europe for Palestine. This conception of history featured its own inner drive forward, one that culminated in return to the Jewish land. Finally, a group of non-Zionist historians, mostly East Europeans who broke with Graetz in important ways, focused on the political and social achievements of the Jews in exile and in particular their ingenious structures of communal organization. Here the foremost figure was Simon Dubnov (1860-1941), an ardent diaspora nationalist. In America, the Polish-born Salo Baron (1895-1989) would famously denounce the “lachrymose conception of Jewish history” that had focused on exile and persecutions, stressing instead the periods of relative tranquility, adaptation, and above all cultural flourishing in his seminal Social and Religious History of the Jews. For all their departures from tradition, Zionist historians of all schools and tendencies, acutely aware as they were of the bloodbaths that attended the birth of other modern nation-states, were convinced of the moral superiority both of the Zionist cause and of the means by which it was pursued. It was this bedrock conviction that a group of Israeli scholars who emerged in the 1980s would deny emphatically. Presenting themselves as scholars setting out to debunk counterfactual myths and reestablish historical truth, these “new historians”—their number prominently included Benny Morris, Avi Shlaim, and Ilan Pappé—sought to show instead that, in becoming a state, Israel not only behaved immorally but had committed an “original sin” against the Palestinians: a sin that forever invalidated the state’s claim to legitimacy. Through some minor corrections of the record of the 1948-49 War of Independence, minimal use of Arab sources, abundant misinterpretation, numerous doctored quotes, and possibly some forgery, they declared, for example, that the British mandatory power, far from trying to prevent the emergence of a Jewish state, had tried instead to prevent the establishment of an Arab one; that most Arabs, rather than fleeing the hostilities of their own free will or at the behest of attacking Arab leaders and propagandists, were uprooted and expelled from their homes by Israeli forces; that the balance of armed power in the war favored the Jews rather than the invading Arab states; that the Arabs did not actually intend to prevent the creation of the Jewish state in the first place; and finally, that in ensuing decades the one party responsible for the failure of peace in the region was the state of Israel. In truth, there are no old and new historians, only honest and dishonest ones. For evidence in support of their conclusions, the new historians mainly drew on calumnies that had been employed for decades in the propaganda of Arab dictators. Apart from Benny Morris, who would later reverse many of his earlier conclusions, the new historians did little to expand or advance knowledge of the 1948-9 war. They were not even particularly new, or original: their approach fit perfectly into the ideological trends of the 1970s, especially the disparagement of all non-Third World nationalisms and above all, as in the 1975 UN resolution branding Zionism as a form of racism, the nationalism embodied in the state of Israel. Attacking the birth of the Jewish state was not enough. To delegitimize the Zionist enterprise, it was necessary to tear apart the notion of Jewish peoplehood itself—the very foundation of the state. Unfortunately, in blazing a trail, the new historians inspired others to follow. For the next generation of would-be iconoclasts, attacking the birth of the Jewish state was not enough. To delegitimize the Zionist enterprise, it was necessary to tear apart the notion of Jewish peoplehood itself—the very foundation of the state. Enter Shlomo Sand, who in The Invention of the Jewish People famously concluded that Jews were not a people at all: they did not share the same genetic origin, were never exiled from Palestine, and were today considered a single people only because Zionist historiographers managed to suppress the fact that European and especially East European Jews arose from conversions among various genuine peoples in medieval Europe. A book declaring that Napoleon never existed would have trouble finding a publisher, but Sand’s wild imaginings were an editor’s dream come true. His book is better seen as a successor, though a much less ingenious and entertaining one, to a 1974 volume by the right-wing French Catholic writer Marc Dem that identified the Jews as, to cite the title of the English edition, The Lost Tribes from Outer Space. In it, YHWH appears as a technologically advanced space traveler, the Jews are extraterrestrial creatures, miracles are evidence of alien technology, and Noah’s ark is a hospital ship designed to preserve healthy specimens in the aftermath of the failed first version of the Jewish people. To be fair, however, the new historians, unlike Sand, can also be given a certain measure of credit. At the very least, their underlying impulse—to move beyond and away from a historiography designed to support a national political vision—was a healthy one. Their work obliged all subsequent Israeli historians to avoid the kind of epic and apologetic Zionist historiography that at its extremes could sometimes resemble a mirror image of medieval Crusade chronicles, with self-gratulation substituting for the medievals’ misery and tears. The need for a suitable alternative historiography—one that can take the place of classic Zionist narratives but without attacking Judaism or the Jewish state, and without abandoning intellectual honesty—is no less pressing today. Neither rabbinic, academic, nor Zionist history exhausts the dimensions of Jewish historiography. But, although some have tried, no one has succeeded in creating a “usable past” that is both faithful to the facts and able to serve as a source of meaning and inspiration for the Jewish people. Between the birth of Israel and the end of the Six-Day War in 1967, those who tried the hardest to create such a synthesis were the religious Zionists. Rooted deeply in traditional understandings of Jewish history, they felt no need to mimic the tropes of Western nation-building or to truckle to the Israeli secular left’s penchant for disconnecting Israeli identity from Jewishness. Religious Zionists conceived of Israel’s national project as connected to a Jewish idea of man, “embracing a luminous theory of life and an explicit code of morality and social converse,” in the words of Simon Dubnov, for whom Jewish “nationalism” was essentially rooted in ethics. But this attempted synthesis of history and memory, of Zionist and religious historiography, never managed to provide a common ground. Part of the responsibility lies in the failed attempts of religious Zionists themselves to grapple with the fact that the redemption of the Jewish people had been jumpstarted not by God-fearers but by ardent secularists. Secular Zionists may think they [are engineering the return to the promised land] for political, national, or socialist reasons, but in fact the actual reason for them coming to resettle in Israel is a religious Jewish spark in their souls, planted by God. Without their knowledge, they are contributing to the divine scheme . . . . In the end, they will understand that the laws of Torah are the key to true harmony and a socialist state (not in the Marxist meaning) that will be a light for the nations and bring salvation to the world. For many Israelis, needless to say, this conception of history and its endpoint rankled, illegitimately transforming Zionist efforts into providential instruments in the exclusive service of Orthodox Jews, whose ideas and institutions were being promoted as the future shapers of the Jewish state. Secular Zionists would be the donkey, religious fundamentalists its riders. Hence, the success of the journalist Sefi Rachlevsky’s denunciatory book The Messiah’s Donkey (1998). But secular Israelis were not and are not the only Jews primed to reject Kook’s approach or refusing to hope for “next year in Jerusalem.” Many Ḥaredim have declined to ascribe any historical meaning whatsoever to human actions, electing instead to safeguard Jewish values outside of time—including by wearing the garb of 18th-century East European nobles in order to stress their self-segregation from the post-Emancipation present. As a result, many ḥaredi Jews have withheld their wisdom from discussions of Israel’s place in Jewish history even as many secular Israelis have resolved not to listen to them in the first place. In fact, however, Israelis trying to understand and “place” their own history could benefit greatly from what Jewish texts and traditions have to say. For one thing, these texts can serve as a reminder that today’s Jewish state is not, and should not be seen as, the direct heir to the biblical kingdoms of Israel and Judah—most of whose kings after Solomon were idolatrous tyrants ruling populations that likewise worshipped Baal and Asherah. The Bible might better be read not solely as a heroic text—an approach favored by David Ben-Gurion among others—than as, also, a cautionary tale. Ḥaredim might even be particularly well-positioned to guard against certain Baals and Asherahs of our own day, including those manifested in the excesses of religious nationalism—for instance, in the dangerous way the Gush Emunim movement took the “miraculous” victory of 1967 as its cue to build Jewish settlements in the newly acquired territories not for the sake of improved security but as a means to hasten the coming of the messiah, believing at the same time in peaceful co-existence with the local Arab population. Today’s successors of Gush Emunim are the “hilltop youth” who leave their houses of study to establish outposts in the West Bank and who claim to be heirs to Joshua’s warriors, conquering the land of Israel as they tote rifles and build their makeshift houses—all contrary to Israeli law. Like earlier radicals, they have broken with the traditions of their elders, deeming them too passive. Not only do many of them mistake geography for history, but in valuing rocks over people they also turn a means—the conquest of the land—into an end. Worse, they have support: after the debacle of the Oslo Accords, Israel’s disengagement from the Gaza and displacement of the communities at Yamit and Gush Katif, and the use of the IDF to remove illegal settlements on the West Bank, many religious Zionists have begun to see secular Zionists, far from being unwitting instruments of the divine will, as instead their enemies. 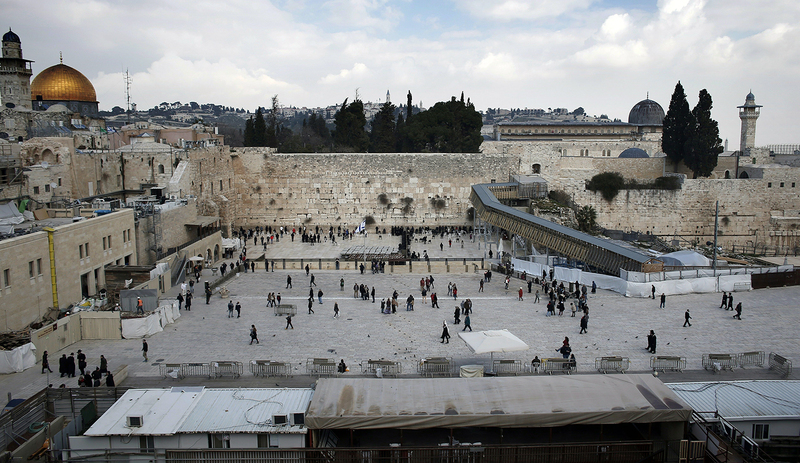 For their part, secular Israelis have sins of their own to confront. Cut off from their spiritual roots, and seduced in the 1970s by the promise of a sudden peace, many found yet another idol: the fanciful notion of immediately normalizing relations with their Arab neighbors. Thus did “Peace Now” become a legitimizing slogan for those advocating unconditional negotiations with Israel’s sworn enemies while condemning the settlements as a threat to Israel’s moral existence and political survival. In fact, “Peace Now” was and is as disdainful of history as is the “Messiah Now” of the hilltop youth. More recently, in their desire to make Israel part of a globalized world, many secular Israelis have also tended to worship their own versions of Baal and Asherah—Consumerism, Hedonism, Cosmopolitanism Now!—thus further detaching themselves from both history and memory. Outside of Israel, especially in the United States, there are significant numbers of Reform and unaffiliated Jews who nurture a general indifference or even hostility toward the land and state of Israel and who thereby recapitulate the role of the Hebrews who stayed in Egypt at the time of Moses, or the ten northern tribes who separated themselves from Jerusalem, the Temple, and the Davidic monarchy, or those who preferred to stay in Babylon at the time of Ezra’s return in the 5th century BCE. By denouncing the Zionist message, refusing the adventure of Israel, or cherishing assimilation and their own selective memories, they form strange bedfellows with non-Zionist “Orthodox” Jews incapable of living in a Jewish history. All of these “families” have remained mentally in Egypt or Babylon. Jews today, rather than being united by a shared past, are divided by their differing historical consciousnesses. The consequence is that many Jews today, rather than being united by a shared past, are divided by their differing historical consciousnesses. Each in their own way, neither Ḥaredim nor religious nationalists nor secular Jews seem willing to acknowledge that Jewish history (to quote Dubnov again) “presents a phenomenon of undeniable uniqueness” and that the rebuilding of the state means not mere physical relocation but the resumption of the millennia-old project of creating an ethical Jewish society. The French political philosopher Raymond Aron—no religious fundamentalist, he—once quipped that “human beings make history, but they do not know what kind of history they are making.” A century earlier, Edmond Michelet, the chronicler of the French Revolution, claimed for all historians the right to say what historical actors really meant and wanted, since, without the benefit of hindsight, they could not possibly understand the events in which they played a part. Jews, whether religious or secular, whether in Israel or in the diaspora, might take the words of Aron and Michelet to heart and acknowledge that to understand Jewish history properly, we need historians. 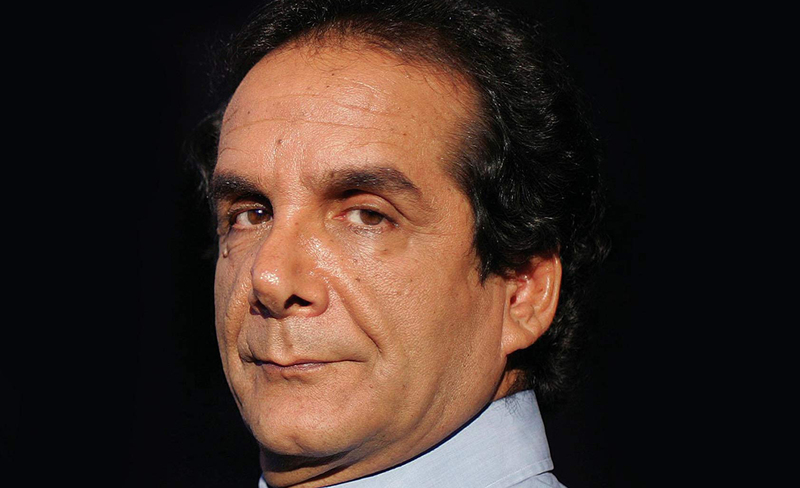 But Jewish history cannot be written like the history of any other people. It resists both the “religious” approach of prophets and rabbis and the “scientific” approach of academics. These days, too many Jewish historians, lest they open themselves to accusations of ethnic or religious particularism, have abandoned any pretense of finding meaning in what they study, insisting instead that there is no such thing as Judaism, only “Judaisms”—that is, the randomly constructed Jewish identity of given communities at given times in given places. This is not only self-defeating; it nullifies any quest for the inner meaning of Jewish history. It is time to reclaim the field of meaning, which is to say of purport. To complete the task, needed are historians who can reconcile collective Jewish memory with scholarly Jewish history, the sages’ approach with the secular Zionists’ approach, who are proficient at detecting universality in chronology, honest enough to record that Jewish history has both its victors and its vanquished, inspired enough to breathe a Jewish spirit into “mere” fact-finding, and wise enough to render contemporary Israel as both a return to the origins of the Jewish people and the successor and heir to the exile. Tsey ul’mad: “go out and learn,” says the Talmud (Shabbat 31a), a sentiment echoed in the Passover Haggadah. In this case, the relevant advice is: go out of history to learn history’s meaning.